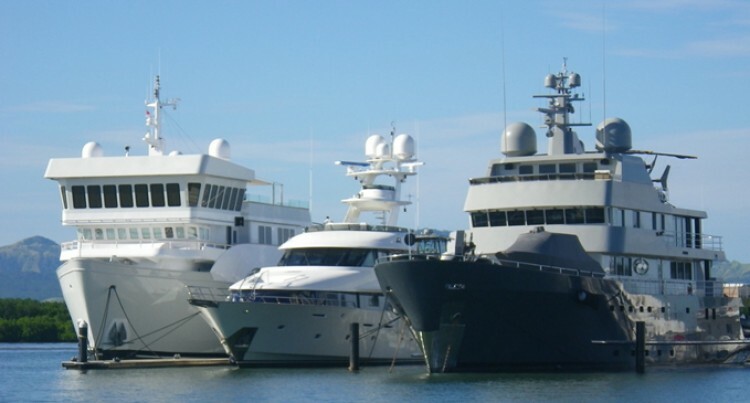 Super yachts at Denarau Marina. We are now entering a new era of South Pacific Superyachting. Now Fiji, Tahiti, New Zealand and Australia banded together in order to promote the region as one cohesive destination for superyachting. This is in a way similar to the Mediterranean and Caribbean act as large cruising grounds beyond the borders of the nations that form them. According to Superyachts.com the move was initiated by New Zealand Marine, Port Denarau Marina, Tourism Tahiti and Superyacht Australia. South Pacific Superyachting is encouraging more yachts to move within the destination. The initiative first took place at the annual Superyacht Australia Tahiti Rendezvous event, held at Marina Taina. Most yachts which cruise the Pacific explore a number of the region’s island nations, and because of this South Pacific Superyachting provides one touchpoint for the captain, owner’s rep or management house to plan the yacht’s time in the South Pacific. “Working as a cohesive unit to move yachts through the South Pacific is a step that will produce real benefit for superyacht marine and tourism industries within the region,” said Nigel Skeggs, of Port Denarau Marina. “With well established routes and clear communication on how to best make the most of the region, yachts will circulate more, stay longer and – crucially – entertain more guests during their time in the region. This is an exciting time for the region and we expect both the new cohesive destination and South Pacific Superyachting to rise to the front pages in the future thanks to its unparalleled beauty and remarkable cultural mix.